Playwright and socialite, toast of William Wilberforce and Marie Antoinette, poet, pamphleteer, traveller and horticulturist, the singular Reverend Doctor Thomas Sedgwick Whalley (1746-1828) lived a life of extravagance, generosity and intellect amongst some of the most influential figures of his day. In this exhaustively researched work, Professor Stephens uncovers the detail about this unusual, influential and wrongly-forgotten figure. From the Mendip hills to the fields of Napoleonic France, from the school houses of the poor to the meeting rooms of the Bath literati from the gardens of his mansion to the corridors of ecclesiastical influence, follow Whalley's remarkable journey through the scenes of eighteenth and ninteenth-century Europe. 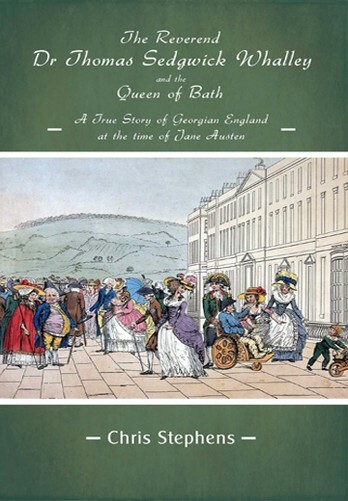 Uncover the extent of his influence, and discover the passions and affections that shaped this extraordinary gentleman, not least his devotion to his beautiful, vivacious and gifted niece Frances, the Queen of Bath herself. Just before retiring in 2002 Professor Chris Stephens OBE became Deputy Chairman of the Dry Stone Walling Association of Great Britain. Through this he was asked by the Woodland Trust if he could assist them in the restoration of the walls of Dolebury Warren Wood in North Somerset. He soon discovered that these had formed part of the boundary of the 1000 acre estate of the Reverend Dr. Thomas Sedgwick Whalley whose ruined 18th century mansion lay close by. The magic of the place and the unravelling of the story of this unusual man over the past 10 years has proved to be a source of great delight and a fascination for Professor Stephens, inspiring his fantastic new book.